Just tears…right where endurance began! endurance riding, for 15 years. by other equestrian disciplines too. has happened, minute after minute. is the cooling area? They are not ready yet…still under construction! gate yet, nobody can put some water in the buckets…it’s a total desolation! and Florence, the hurricane, is on its way! Facebook and viewed by 7000 people). were running, looking for some sort of starting line. in wasting time over silly things like wetting the horse or offering him water to drink. horse the chance to rest and drink some water even if he doesn’t want any. could only hop from one car to the other in order to follow all the horses. suspended due to obvious irregularities. Redo or cancel it: that is the question. decided to start all over again. two different formations: pro and against the cancellation of the ride. the 160 km ride; officially, the first loop of the new 120 km ride. news (luckily the hurricane was losing its power and slowing down!). Nobody respected the regulation that banned photos and videos in the trotting area. All sort of documentation started invading the web and became viral. had stopped a while ago!). The event was cancelled for the welfare of the horse. highway, my hotel was 35 km from the venue of the World Championship. I couldn’t wait till this whole story was over. I needed a shower with some real soap, no more wet blankets! enthusiasm and desire to change? a footnote of equestrian sports. discipline in Tryon has been managed with great superficiality. Let’s wait for the wind of change to blow! This summer 2017 was definitely characterized by Meydan’s powerful entrance into the world of endurance. HH Sh. Mohammed bin Rashid Al Maktoum with the brand Meydan has always been very present in world endurance events… but this year he really spoke up! 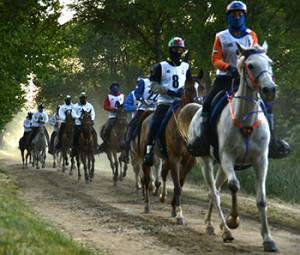 Many European organizing committees have been negatively affected by this strong presence from the UAE, infact the number of riders has decreased. Today, most athletes prefer to go where they are paied to run instead of competing at home for a simple qualification. I was personally disappointed to see very short start lists in France, Germany and Italy… my own country. The truth is that we all live in a more and more globalized open market and everyone is free to take the best decision possible for the company’s sake and to develop. I don’t feel like judging either the rich organizing committees or those who choose to go where they get more benefits or are paied to run. Hypocrisy doesn’t belong to me and I’m sure that every organizing committee would have accepted financial support from any Gulf country. I would like to strike a blow for Gianluca Laliscia, the greatest manager in this field of all time. A man who was able to lead the discipline of endurance riding to high notoriety levels. There will continue to be people who will prefer valuable stages for many reasons: work, necessity or simply virtue. 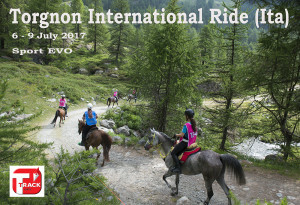 While others will keep running the classical rides in Italy or abroad just for passion, without caring about selling their horses or money in general. We just hope that qualifying rides will continue to exist around the entire world. If I could, I would devide the endurance world in two parts: professional riders on one side and amateurs on the other… this would attack the problem at its source. However… hip hip hooray for sport! Another big goal to me was to create a real ‘team spirit’ Obviously the Team Bronze was like the ‘icing on the cake’ for the Team Sweden. It was not my goal to go for a medal at the European. I started my duty as the coach of Sweden only in April. I wanted to review the whole elite system. Like in any situation, a first study of the existing situation was mandatory to me. I was already able to pick a list of rider/horse combinations which could pretend to a better speed on the distance of 160 km. But these amazons – almost all endurance riders in Sweden are females – didn’t really believe in their ability to perform better and faster. A first gathering with the riders, followed by a couple of clinics in the spring were organized. Some changes were introduced in the training program, in the management of the horses, and so on. 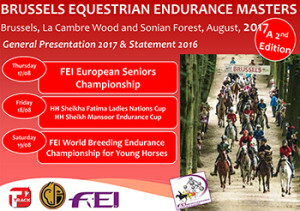 Also a major change was brought to the selection system: no minimum speed – except the 14 km/h FEI threshold which was required to enter the long list. Another big goal to me was to create a real ‘team spirit’ among the girls. Helping each other, socializing, eating together, chatting and having fun… that’s also making part of a big group competing abroad. I initiated the process during the various clinics we had in Sweden and later, during the selection process – even if the competitive spirit was always there. I had to cope also with the Swedish mentality, very different from our Belgian one. But I got to taste already the Scandinavian style during my 4 years with the Norwegian team. It goes without saying that I received a fantastic help from our team vet Mia Svensson in the process of rasping the sharp angles. The instructions to my riders were simple. One – Sara – was asked to follow the French riders because her horse was able to cope with the speed that I was expecting from them (I was pretty sure that Jean-Philippe was going to be in the lead with the Spanish riders while the four others would cruise at a relatively lower speed). Using this tactic, she was away from the inevitable pressure and stress of the leading group. The four other riders (Emma, Jessica, Lena and Anneli) had instructions of cruising near 16 km/h in a compact group. The tactic showed to be a success. No one believed me, afterwards, when I said that I didn’t look at the team ranking until the end of the 4th loop. But that’s true. I was not interested in that. My goal was to complete a team (the last time Sweden completed a team was in 2005!). But my wife Caroll was agitated and smiling at me and making signs from the other side of the trotting area at the end of 4th loop. It let me decide to go and collect a team ranking. We were 4th, behind France, Italy and Spain. It then became necessary to watch the others trotting. When France lost 2 riders at the recheck, we were virtually Bronze with one hour ahead of Switzerland. The instructions to my girls remained the same… Sara was to keep her 10th place without taking any chance. The gang of 4 was to cruise altogether at 15..16 km/h and help each other to cross the finish line hand in hand to offer a good display of the new Swedish team. And we did it! 24 years since Sweden obtained the last Team Medal. I’m very proud of my girls. They rock!!! I make profit of these columns to thank all the people that supported and congratulated us, from Sweden, from Belgium and from anywhere in the world. 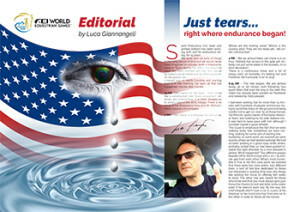 The meeting of September 23rd in Sigurtà Garden Park sets a very important moment for worldwide endurance movement; at the stake isn’t only a title, a cup, but a pass for all future main stages like WEGs of Tryon (U.S.A.) or whatever future big event. 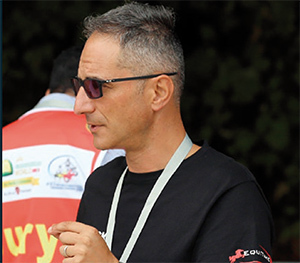 Italian Endurance Festival’s Committee is working hard, and the organization’s machine is so well prepared that just a very few things need to be arranged and modified, before “turning the key” and have the whole thing started. Experience and versatility are just two of the aspects charachterizing this dynamic group working behind scenes, always on the look for details and standards among the highest. Meydan force on one side, Organization Committee capabilities on the other, are an incredible warranty for success. Everything started in the Cévennes National Parc when the body took on an equine technical consultant in 1972: The recruitment by competitive examination involved the hiring of Yves Richardier. He initially had two main tasks: to form the proper cavalry for the park wardens, and to launch environmental projects to improve economic and societal life of National Park residents. Working on these tasks, Richardier got the idea to create a breeding area for endurance horses. They would be tested and selected on a kind of french Tevis Cup: Florac was born! The project included the creation of two entities: one to form a breeders labor union (foundation of Persikland), and a second to set up the Florac endurance race. The first presidents of these entities were respectively Michel Bordes (a rider and breeder from Nissoulogres) and Christiane Chazel (arabian breeder and one of the first international endurance riders). Although the arabian horses were at this time mainly used for show or speed races, Yves wanted these horses to make justice to the original Bedouine horses by their physical, metabolic and mental qualities, they would have to carry heavy weight, far and fast. 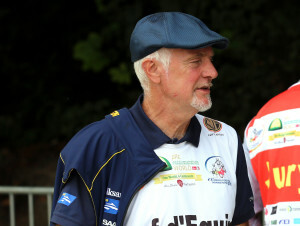 Yves selected Persik who started covering mares in 1975 and won twice the Florac race (initally 130 km) in 1975 and 1976. Having a look at statistics really proves Yves Richardier was right since 152 on his 328 descendants have been ranked on CEI2* or CEI3*. Moreover, these genetic predispositions seem to be given by sons and daughters of Persik to their descendants. There was 37 stallions by Persik which were often performers (25 of them ranked on 2* or 3*) and they mostly produced performers in the same time (27 on these 37 have at least a top 3 descendant). No need to say that Persik hasn’t stole his title of « Best endurance Stallion of the World ». Yves’ personal horse breeding, named Indian Arabians, was formed by only 2 or 3 mares at the time. Yves Richardier considers that the best maternal bloodlines are those used to make the Persikland breeding, and also some australian, oriental and spanish ones. He insists on the fact that selection for « making an endurance horse » has to be done by crossing performers. 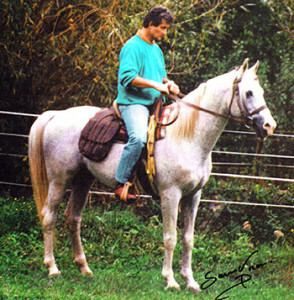 His favorite stallions ever are Persik, Hadban Enzahi, Exelsjor, Forex, Baj, Zulus, Dormane, Indian Tawfik, Arzew, Piruet, Abul Beka, Indriss, … and his current picks are Persicko, Fadasir, Arques Perspex, Khadar, Djin Lotois, Tauqui El Masan, Ulm de Domenjoi, Tidjani and Sadepers. Although the french team might not be the unbeatable team it used to be anymore, Yves insists on the fact that France still owns the leadership by the quality and the number of performers produced. He’s quite confident on the fact that french horses will keep their ranking as France has a well-thought-out and structured endurance breeding. Yves said that France has -and must keep having-very professional breeders and knowledgeable judges to spot interesting horses on breeding show and qualifying races (from 20 to 90 km). Although, Yves believes that Spain has a lot to teach to France and that french riders should have training periods with spanish champions as Jaume Punti Dachs who wins with french (or french bloodlined) horses most of the time. Yves Richardier hopes that rules will progress as soon as possible, as Stéphane Chazel suggested this year. He thinks that Bouthieb initiative is a very good thing for horses wellfare and is glad to see that event planners like Christele Derosch follow these actions. When asking « how would you describe the perfect endurance horse ? », Yves gets nostalgic and lets his heart reply: « How would you expect me to reply to this question when you know I’ve been riding Persik until he turned 26 years old… ». He can develop though and says that in his opinion the perfect endurance horse is arabian or mostly arabian, around 1,54 m.
Its hindquarters must be as longer as possible, no croup too level and no goose-rump, and reasonably wide. Its back should be as strung as possible to be efficient. « If hindquarters are as long or longer as back and loins, buy that horse with one’s eyes shut » (Bedouin quote). Its feet have to be strong, preferably not too flat neither built-in. Knees, hocks and fetlock joints must be dry and strong. Yves explains that inevitably, as a horse has 4 legs, we shouldn’t expect all of them to be perfect and that we should consider their conformation according to the way it moves. So, if a slight deviation should be accepted, it would be a pigeon-toed as long as it starts under fetlocks. And in any case, the most important thing is that all feet land flat. Its shoulders have to be made in the aim to give amplitude to its gallop. Even if Yves considers that extensive farming as breeders do on Cévennes limestone plateau, he thinks it’s important to pay attention to foals and yearlings by proper feeding and cares. You just can’t make champions by chance! 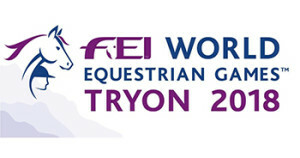 In preparation for the FEI World Equestrian GamesTM Tryon 2018 (FEI WEG), Tryon International Equestrian Center (TIEC) held the first Chefs de Mission meeting from Monday, April 30, through Wednesday, May 3, welcoming organizational leaders of national equestrian federations from around the world to the venue, as preparations for the Games continue. Leaders from fifteen National Federations attended the meeting to discuss event logistics, travel, hospitality, lodging, and sport with the event’s Organizing Committee, comprised of both the TIEC leadership and key members of the Fédération Equestre Internationale (FEI). Tryon International Equestrian Center & Tryon Resort.